Ready for the big battle? Make your way to the big wins on Fortunes of Sparta Slots to get your hands on up to 100 free spins, multipliers and more! Do you have what it takes to be a gladiator? 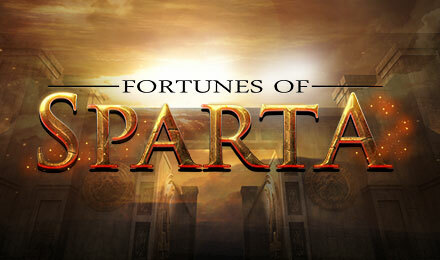 Play on Fortunes of Sparta Slots and display your skills! All you need is a shield and sword to battle your way to the great wins. This creation of Blueprint Gaming offers 5-reel, 20 payline alongside superb features. Get the Spartan Wild symbol on reel 3 to launch the Sparta Streak. The Spartan Spins is triggered with 3 or more Bonus scatter symbols. Here you can win up to 100 spins.